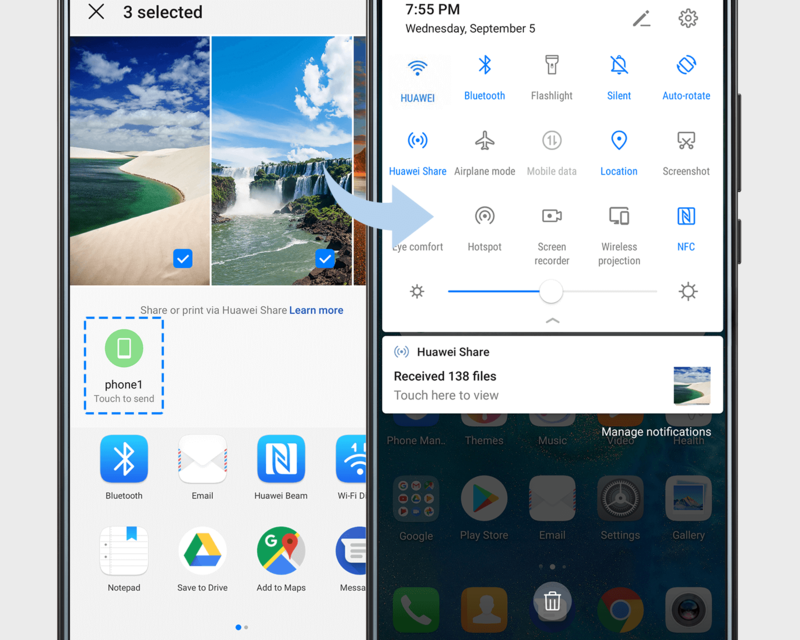 Use Huawei Share to send files between Huawei phones in a flash. Send up to 100 documents or 500 photos at a time. 1. Swipe down the status bar to display all shortcuts. 2. Touch Huawei Share to turn it on. 1. Open your file and touch the Share icon at the bottom of the screen. 2. Touch the icon for the other phone to share. A notification will pop up on the other phone, just touch ACCEPT.